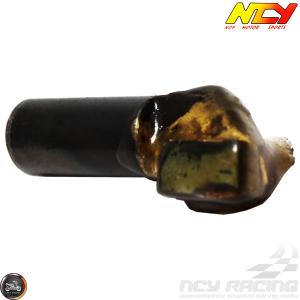 Description: Engine bore tool by NCY. 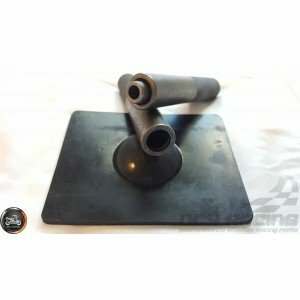 A must for using most large bore cylinder kits. IMPROVED DESIGN!! Now works with multiple engine designs! 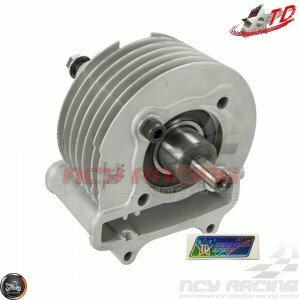 Installing a GY6 cylinder kit larger than 61mm requires the factory crankcase to be machined. 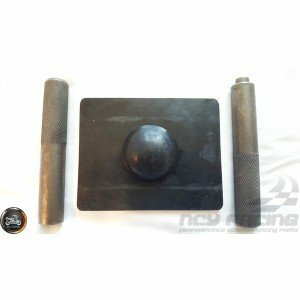 That is why we offer NCY Boring Tool which allows bore of a 54mm stud GY6 engine crankcase to fit cylinder size 61mm for 171cc, 63mm for 180cc or even 205cc+ with an extended stroker. Will also work on 139QMB bore upto 52.4mm. All else model can possibly bore up to 72mm! Replacement blade is available (Part# 1400-1081). NOTE: Will not fit 57mm stud spacing crankcase. 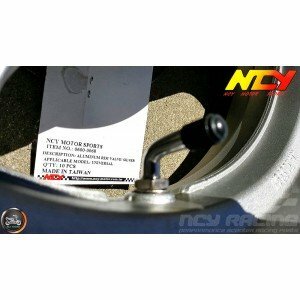 Includes the following power-drill attachable Bore tool, Bore bit, Allen fasteners, and NCY Sticker. 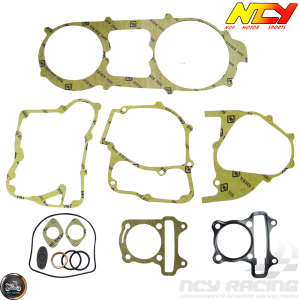 Description: G- Crankcase Bushing Set is made of a metal sleeve and sturdy rubber which also makes installing them so much easier with a compressor to.. 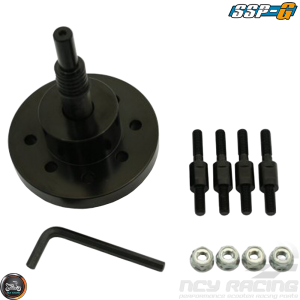 Description: G- Valve Spring Tool makes changing valves spring a safer, faster and easier.Specifications: • 1 Rubber Base Mat• .. 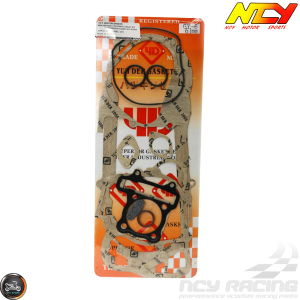 Description: Taida GY6 transmission case bearings, complete set of 6. This is a complete set of genuine TPI bearings - The best in the industry! Inclu..